BE THE FIRST TO GET BEST DEALS ON EASTER SALE! TFS UK is one of the popular online furniture stores for high-quality furniture and known for offering some of the best Easter Furniture Deals - and it makes sense. Our Easter Furniture Sale 2019 will begin on Saturday 19th April and continue till the Easter Weekend and Bank Holiday until midnight. 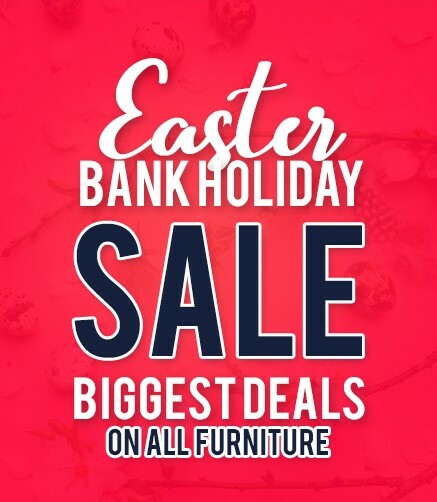 There is good news for all shoppers that on Easter Furniture Sale 2019, TFS UK will offer massive discounts and savings on various categories of Furniture including Bedroom Furniture, Dining Room Furniture, Living Room Furniture and Home Office Furniture. Our Big Easter Furniture Sale is starting on this Easter Weekend. How much Do I Save If I Buy in this Easter Furniture Sale? Be assured that you ’re getting the lowest price in the UK on any product if you’re shopping from the TFS UK on this Easter Sale. You will save up to 65% on RRP (Retail Recommended Price). What’s the Best Time to Buy Furniture? Easter Home Furnishings Sale is one of the best time to bring your favourite furniture to your home at the most reduced prices. 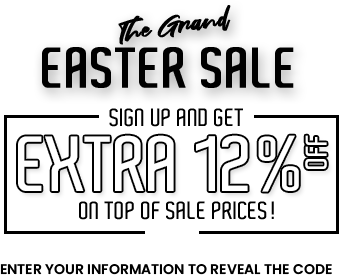 Just like previous years, this time also we’re offering massive discounts and saving on this Easter Weekend. You can take benefit of this Easter Furniture Sale from 19th of April 2019 to 22nd of April 2019. We advise all our customers to make their purchases any time within the mentioned dates. Why Should I Buy From TFS UK? TFS is one of the UK’s popular furniture stores and we take care of our each and every customer. We’re committed to providing our customers with the first class service that they deserve. We want to make sure that shopping for furniture is as simple as possible. We strive to deliver a wonderful experience from start to finish because customer happiness is paramount for us. Shop all of our Easter Specials and Save Big this shopping season at TFS UK.